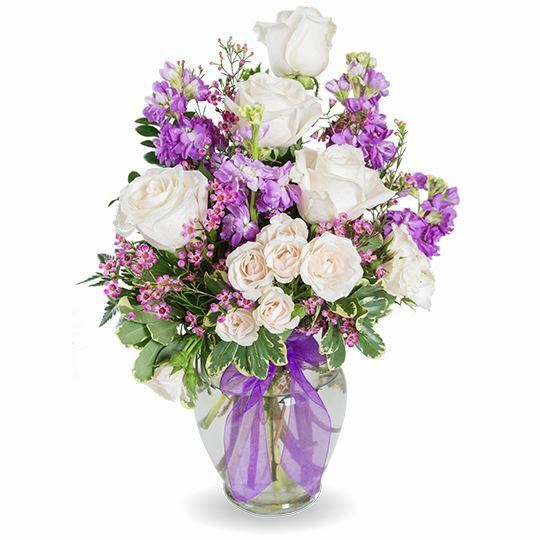 A perfect collection in shades of purple and ivory with assorted sizes of roses, fragrant chamelaucium, and a designer choice of greenery to enhance the look. 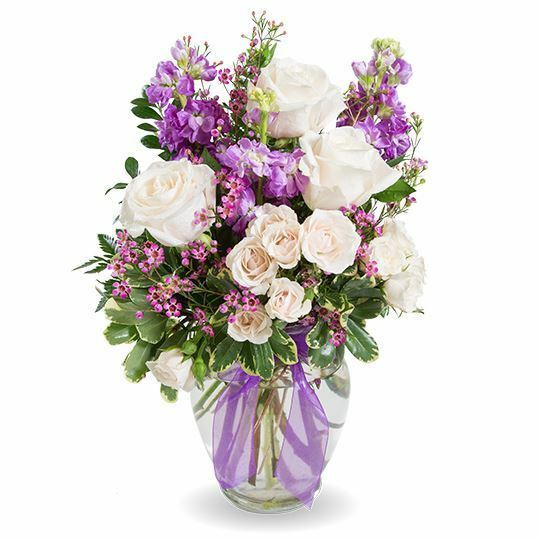 A sheer purple ribbon completes this elegant one-sided design. Lovely arrangement! The colors are soothing. The ribbons in the vase were a nice touch! The flowers and everything came together so nice. Great service, especially if you need flowers FAST! LOVED the lavender colors. It was so calming. We ordered lavender fields for my grandma. 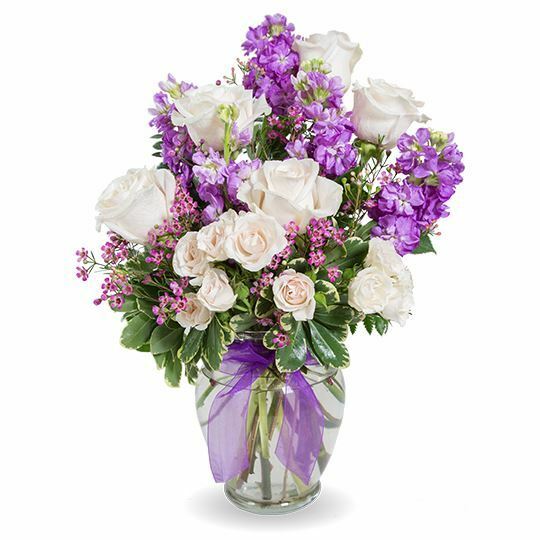 Her favorite color was purple, and I know she would have loved these! Flowers were fresh and lovely. What a simple process! We had the flowers delivered the same day. So happy with our purchase. These flowers were just gorgeous. This was my first time using a site for flowers, but happy with my experience. Wow! The purple was so beautiful! The website and whole ordering process is a real breeze! Best part is how fast they get there! I'm happy with how quick we could get the flowers ordered and delivered! Happy with the final product! It was a perfect tribute! The colors were gorgeous and the flowers were so fresh! Our cousin was really touched by the final product and we had no issues ordering from the website! Just like the picture!! They almost looked fake! I think these were perfect to help cheer up my friend who had just lost her mom. They came as pictured, and arrived so fast! Happy with the whole process. Questions were answered very quickly. My cousins said they were beautiful!